The most recent generations of dentistry have recognized the principle that visualization = better success. If we can see what we are doing we can do a better job. Logic, right? This is why you often see dentists wearing magnifying loupes and headlamps. Those allow us to view your teeth at 2-4x their size, which in turn allows for better dentistry. 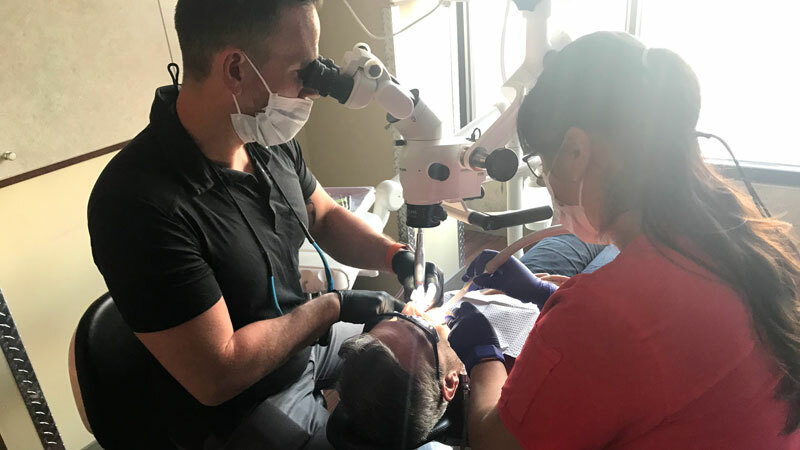 The majority of endodontic specialists (and a few generalists) have invested in microscope technology, which allows us to now work comfortably at up to 12 times magnification.